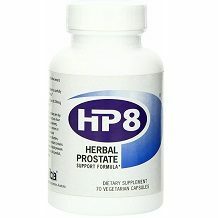 The focus of our product review today is a supplement called HP8 Herbal Prostate Support Formula. The manufacturer claims that this all-natural supplement can help promote optimal functioning of your prostate. They argue that this product will work immediately, produce desired results, have no negative side effects, and adheres to strict manufacturing guidelines. These natural ingredients are a source of essential antioxidants, boost hormone function, prevent prostate cancer, and improve digestion. Some ingredients that have not been added to this supplement are; Muira Puama, Quercetin, and Soy Isoflavones. There is a California Prop 65 warning on the product label which states the product contains chemicals known to the State of California to cause cancer and birth defects or reproductive harm. Take two capsules, or for optimal results, four capsules per day. The manufacturer does not specify the optimal time of day for taking this supplement, whether you can take all the capsules in one sitting, or whether you should take it with food and drink. Consult with your physician before using this supplement. It is not intended for use by women or children. If you are taking an anticoagulant or blood pressure medication, or are being treated for liver, heart or kidney disorders, consult with a healthcare professional before use. This product contains licorice root which may cause change in blood pressure. If you experience changes in blood pressure while taking this product, discontinue use, and consult your healthcare provider. There is a rather worrying California Prop 65 warning on the product label which states the product contains chemicals known to the State of California to cause cancer and birth defects or reproductive harm. This product is not available from the manufacturer’s website, and when we looked on Amazon, it was out of stock and had no price. We later found it on sale for $49.95 for a 70 count bottle which is about 18 days of supply if taking four capsules a day. This is significantly more expensive than alternative products. There are no new customer incentives or bulk buying discounts. There is no money-back guarantee nor return policy provided by the manufacturer. This brings us to question the ability of this product to produce desired results. 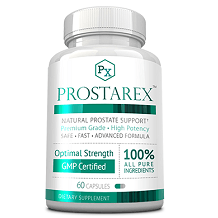 This product includes several beneficial ingredients that promote prostate health. In optimal doses, these ingredients can support prostate function, reduce swelling and relieve associated pain. We do have some negative reflections however. In terms of dosage, the instructions are rather vague. The manufacturer does not specify the optimal time of day for taking this supplement, whether you can take all the capsules in one sitting, or whether you should take it with food and drink. Pricewise, this product is very expensive selling at $49.95 for a 70 count bottle which is less than a one month’s supply if taking three capsules a day. This is significantly more expensive than alternative products. Furthermore, the manufacturer does not offer any new customer incentives nor bulk buying discounts. There is no money-back guarantee nor return policy provided by the manufacturer. When we looked on Amazon, we saw that there were no customer reviews at all for this product. There is a rather worrying California Prop 65 warning on the product label which states the product contains chemicals known to the State of California to cause cancer and birth defects or reproductive harm. We would steer clear of this supplement because of three things; the price, the lack of guarantee, and the scary product warning on the label. An easy decision for us.